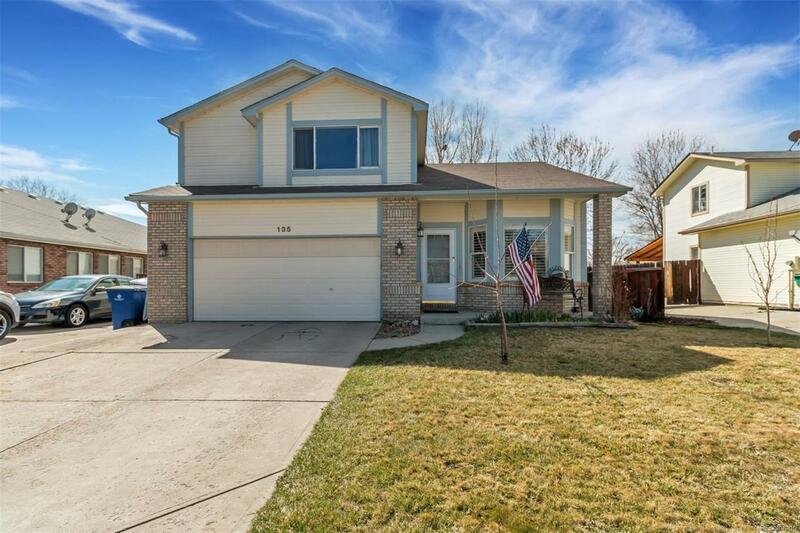 This charming 4 bedroom, 4 bathroom home located in the St Vrain Valley school district has a large, open layout perfect for you and your family to grow into. There are wood floors in the kitchen and dining room as well as a dual side gas fireplace open to both the living and family room. One bedroom and full bathroom are located in the finished basement along with an additional living space. Tucked away in a quiet neighborhood with a large backyard and RV parking along the side, it is also only a short trip from the closest shopping center! Come see it today!